Learn how SPSS Statistics Subscription's new and enhanced features accelerate, optimize and simplify data analysis. Learn how SPSS Statistics editions can meet the level of predictive analysis your organization needs. Read about the benefits of the IBM SPSS product family and related software including SPSS Statistics and SPSS Modeler. Learn why, despite their popularity, spreadsheets may not be well suited for analysis and decision making. Learn about IBM SPSS Statistics Subscription, and how to benefit from this powerful, affordable data analysis tool. Learn statistics fundamentals including descriptive statistics, variance, probability, correlation and data visualization. Explore product documentation from IBM Knowledge Center. Explore documentation from IBM Knowledge Center. 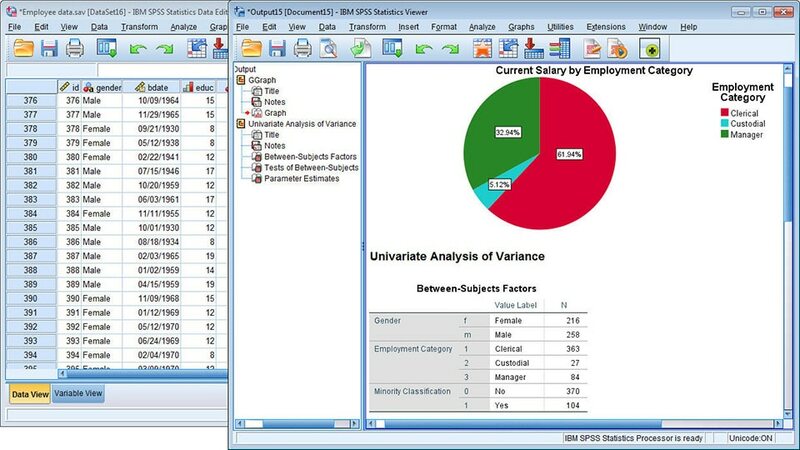 Paid subscribers of SPSS Statistics can try the Preview and explore the new user interface. Learn more.